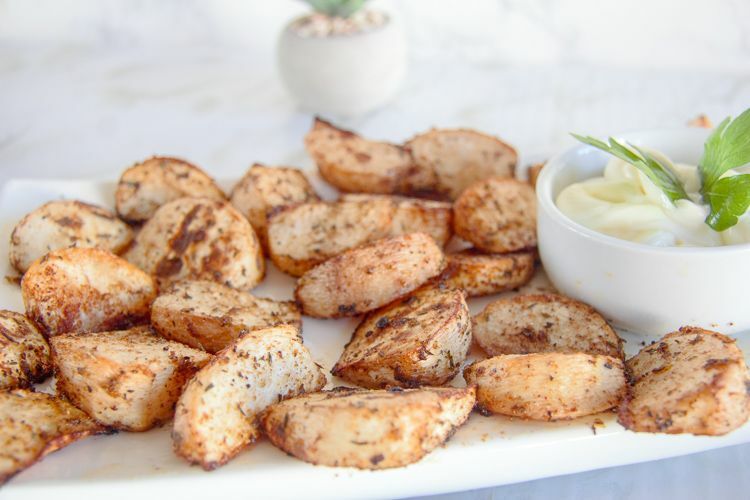 Turnip wedges are covered in spice and roasted until crispy. 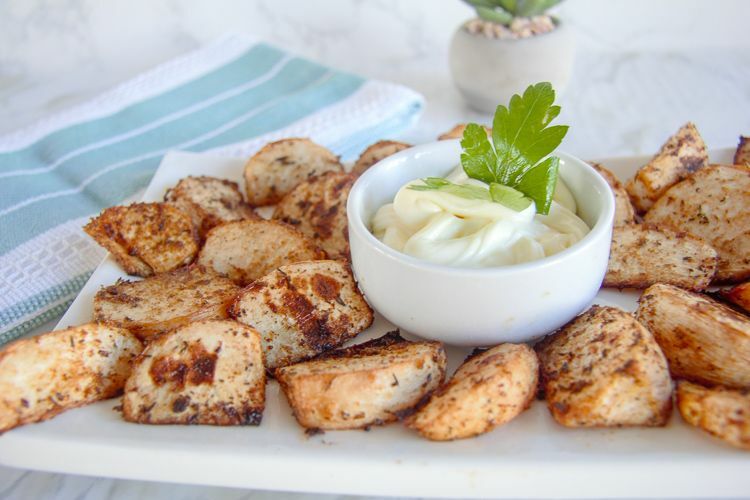 A perfect low carb side dish to your burger or a healthy snack with a dip. 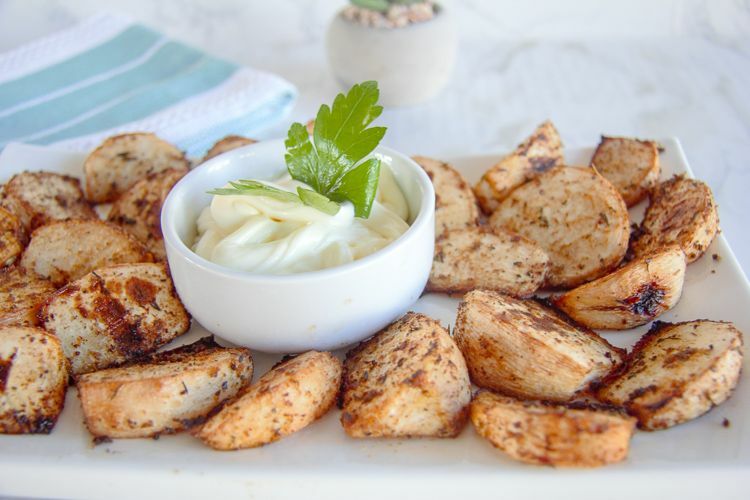 If you have ever wondered what to do with turnips, they make great fries and wedges. 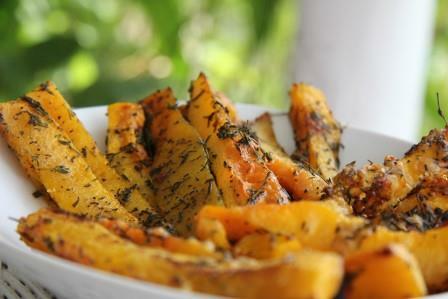 Turnip wedges are the great alternative to potato wedges and crisp up nicely in the oven. Despite being a root vegetable, the turnip is low in carbs being 4.6g net carbs against the potato of 16g net carbs per 100 grams. 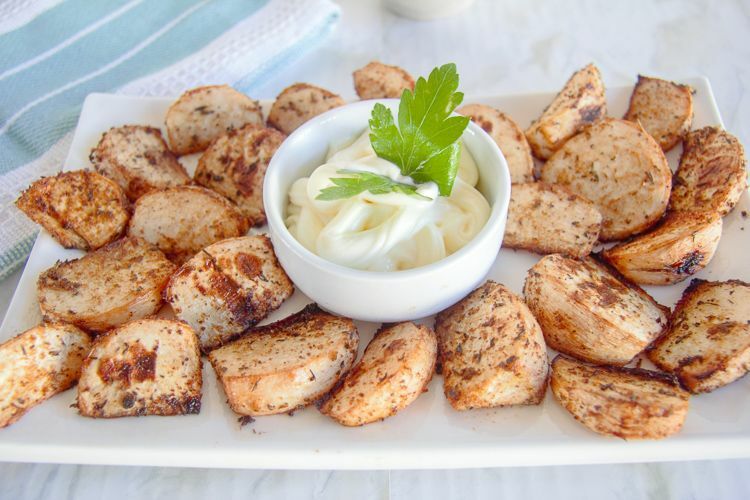 You can use any array of spices to flavour these turnip wedges. 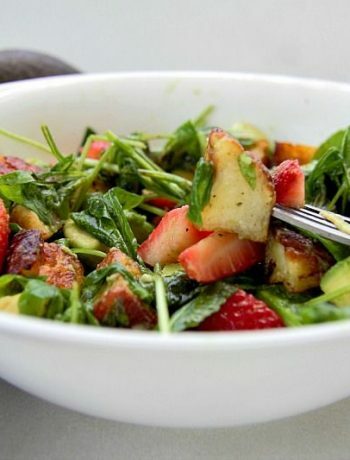 I chose to use a mixture of spices similar to a Cajun spice blend. 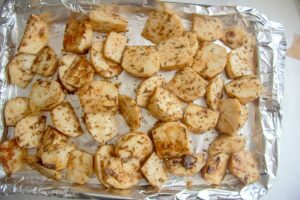 Turnips by themselves can taste bland with a slight peppery bite, so don’t be afraid to reach for your spice rack with roasted turnips. As to the wedge shape, since turnips are more rotund than a potato the wedge shape can vary a bit and turn out slightly square. Just slice them as best you can. These turnip wedges passed the Chief Taster challenge and he ate them with gusto. The sound barrier was broken as he dipped the turnip wedges into mayonnaise and devoured them. He has requested that the next batch to be flavoured with garlic powder and herbs for a different taste. A request for another batch can only be a good sign. 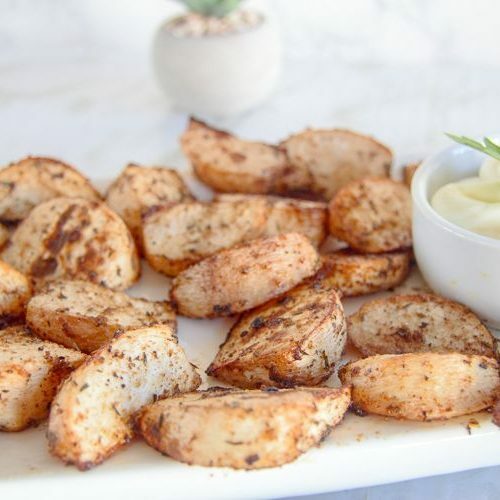 Turnip wedges are coved in spice and roasted until crispy. Cover a baking tray with foil. 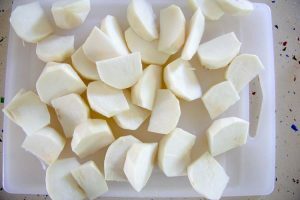 Peel the turnips and chop into wedges but cutting them into half, quarters and then wedges. 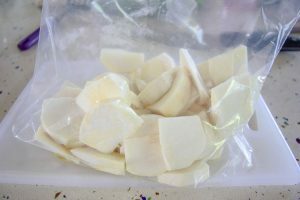 Place the wedges in a zip lock bag and add the oil. 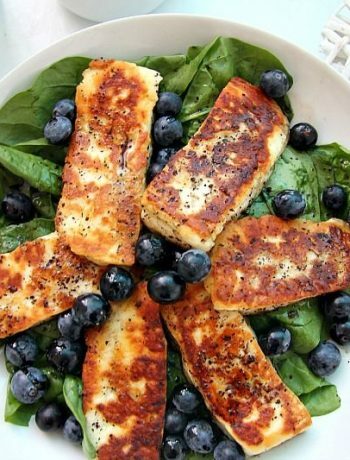 Shake until the wedges are all covered. 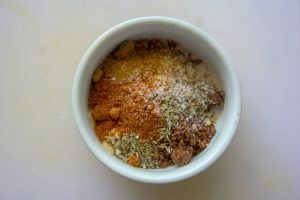 Mix the spices in a bowl together. 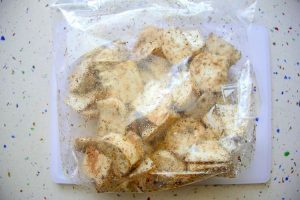 Spoon the spices into the zip lock bag and shake to cover the wedges.